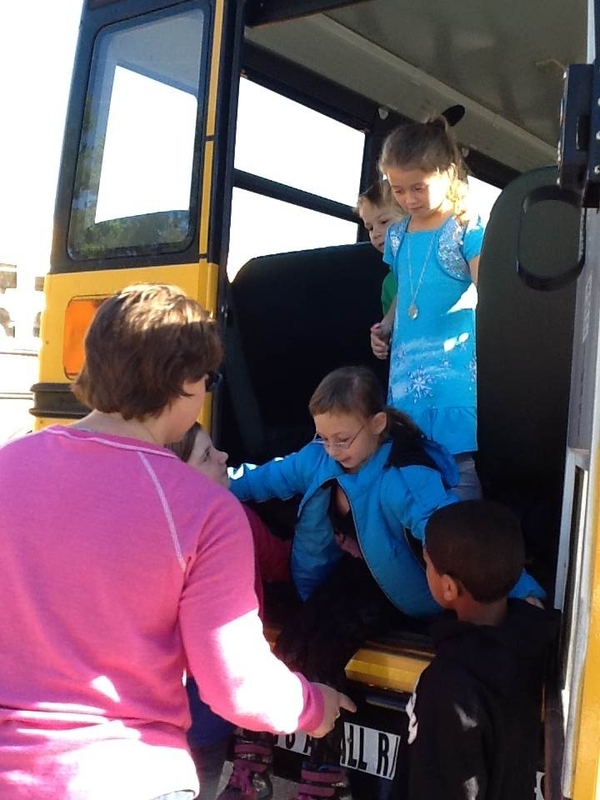 Fall brings bus evacuation practice! 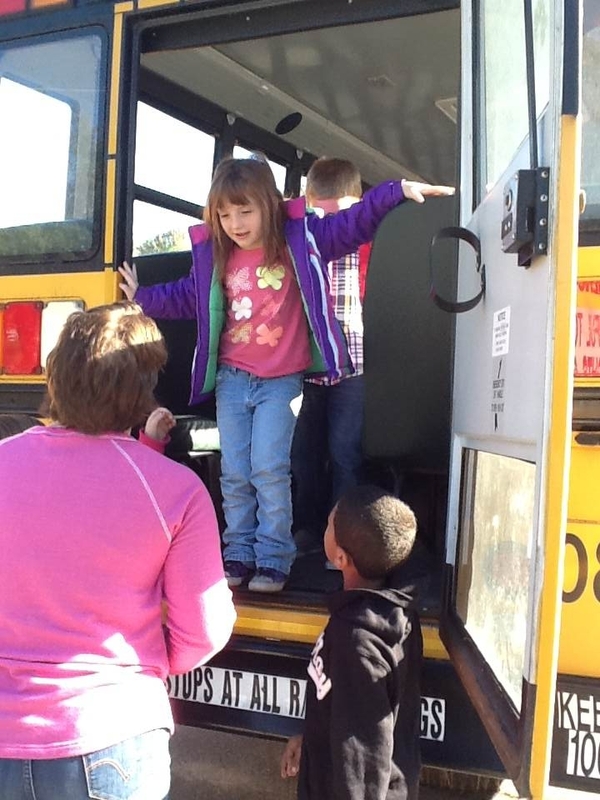 Each year, students line up to practice evacuating the bus through the back door in the event of an emergency. Mr. Hause (P.E. 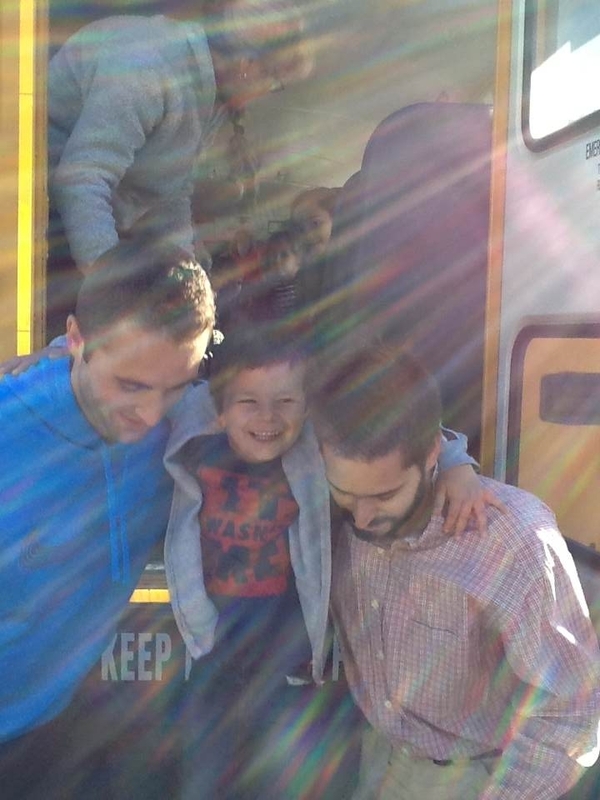 teacher), Mr. Anderson (kindergarten teacher), and Mrs. Leighton (bus driver) help the students jump out.